A third rocket firing is planned for Monday and if all goes well, the TMA-17 spacecraft will execute an automated approach to the Earth-facing port of the station's Zarya module Tuesday for a docking around 5:54 p.m. EST. 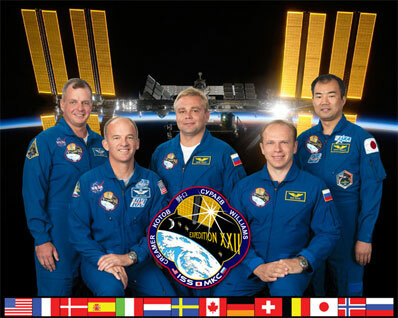 Waiting to welcome the new crew members on board will be Expedition 22 commander Jeffrey Williams and Maxim Suraev, launched to the outpost Sept. 30. 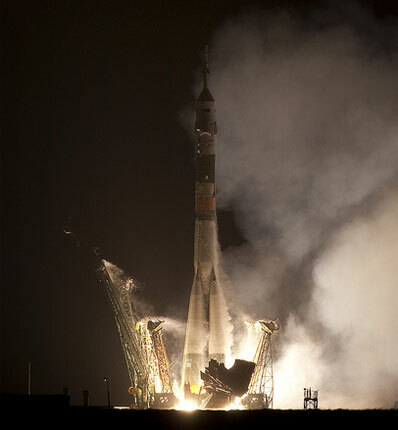 Suraev and Williams, who has a previous station flight to his credit, have had the lab to themselves since Dec. 1 when cosmonaut Roman Romanenko, European Space Agency astronaut Frank De Winne and Canadian Robert Thirsk returned to Earth after a six-month stay in space. Suraev and Kotov plan a spacewalk Jan. 14 to finish outfitting a new Russian docking port known as Poisk, or MRM-2, that was recently attached to the Zvezda command module's upward-facing hatch. Once that work is done, the Soyuz TMA-16 spacecraft now docked to Zvezda's aft port - the capsule that carried Williams and Suraev to the station - will be moved to Poisk on Jan. 20. The shuttle Endeavour is scheduled for launch from the Kennedy Space Center on Fab. 7 to deliver Tranquility, or Node 3, a roomy module that will be attached to Unity's left-side port. Once installed and checked out, a toilet now installed in the Destiny lab module will be moved into Tranquility, along with exercise equipment and other life support gear that has been temporarily housed elsewhere. "This increment really sets the stage for the last year of the shuttle program," Shireman said. 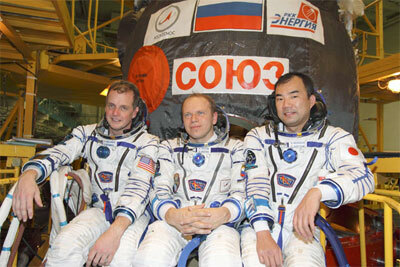 "It's a big growth year ... the last major growth spurt for the International Space Station. ... We're looking forward to a really, really exciting year."